Last edited by reel.deal on Mon Oct 01, 2012 11:56 am, edited 1 time in total. Hope all is well. Nothing too new to add really, other than I went to my barbers yesterday. It's a two or three minute walk round the corner from my house. 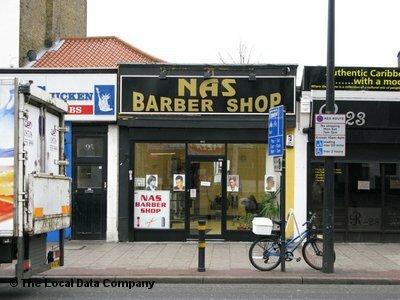 The barber shop is called 'Nas' and is at 97 Brixton Hill. The guy who runs the place is an interesting bloke. I hadn't seen him in little over a month, so had our usual talk about the world and naturally the riots came up in conversation and he became more animated saying; "Listen, I was sorting out the shop for the next day as I'd not been there all weekend, then I was getting phone calls from my family telling me to lock the shop and come home, there's gangs destroying stuff all over Brixton. It's all on the news, mate." - He said he looked out of the shop and saw just three kids and about twelve police vans. "I counted them, mate. Twelve vans with hooded cops inside, dressed like gang members." He said there's gang kids all around all the time, but got a weird feeling seeing the police that were inside some of the vehicles. He said it looked like they were on some kind of exercise 'like when they dress up in casual clothes, like football hooligans and throw bricks at each other' and that he was more fearful in the thinking that the police were going to 'do over' his shop and not the 3 kids outside. I'm doubting his whole take that martial law will eventually come to the UK, but it was an interesting conversation nonetheless. He should have taken some pictures, but as he's a Middle-Eastern guy, though the police would no doubt be more psyched if they saw him do so. Liking the pictures, reel.deal. Despite the weirdness of the whole riot situation, it's good to see people mocking today's 'yoofs'. Last edited by reel.deal on Mon Oct 01, 2012 11:57 am, edited 1 time in total. So, I'm hearing the news this morning that Home Secretary Theresa May to meet with the UK bods of social networking sites Facebook, Twitter and Blackberry to discuss shutting them down when certain events occur, such as riots. It's certainly looking like an engineered plot to me. But hey, if kids in China can find a way round their own 'blocks', I'm sure our ones can, too. Vandals! How dare you destroy the royal eye ... wait, it's not an eye. It's just a camera. How dare you destroy their ability to see you! Wait, the police have working eyeballs - they can just use them. In person. Like non-cowards who respect their citizens do. You ... you ... hoodlums! Destroyers of National Property ... wait, those hoodlums paid taxes for those things so they actually own the CCTV cameras. You - disrespectful bastards not honoring the politicians' wishes for more CCTV's and -- wait, they elected those guys too, so the power is actually with the people to make all these decisions. I guess they're not doing anything wrong after all. Cheers, guys! Keep up the good work! Saw 'em down! 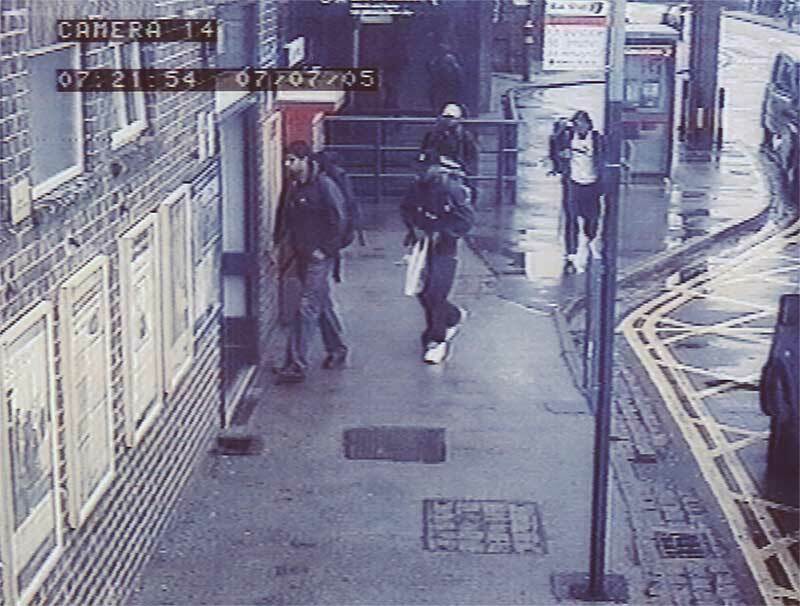 Unfortunately the British government seem to have the lead in investing into CCTV surveillance, and breaking them cameras is effective as stealing tv sets would be to discourage people from watching tv. A drop in the sea. This is so ironic considering George Orwell. Unless it has nothing to do with irony -- but rather with the fact that Orwell knew the mentality of his citizens and rulers very well. Notice how the "riots" are mentioned multiple times in this video, to justify this latest, quite predictable, advance in surveillance technology. A SENIOR Labour MP has blamed last year's riots on parents failing to introduce their children to violence as quickly as possible. David Lammy believes Labour's anti-smacking law has left an entire generation unfamiliar with beating and that a brutality-free childhood meant that they had no idea that violence can hurt shops and people. Lammy said: "If only these teenagers had been made familiar with the seductive, addictive power of violence earlier, perhaps by having the piss beaten out of them by a parental authority figure, then they would have understood how dangerous it can be. "Their laughter when shop windows broke into glittering shards with a lovely tinkling noise was the laughter of childlike disbelief." Manchester rioter Donna Sheridan said: "I wish my parents had taught me, by the regular application of kickings, that violence is not to be used under any circumstances. SHOPS will be available for looting during the Olympics 24 hours a day, including Sundays. The government will this week pass a temporary amendment to Britain's Sunday looting laws to guarantee shopping precincts in every major town and city are completely ransacked seven days a week. Ministers also want to ensure London can cater for the combined frustrations of an especially vindictive tube strike and the seemingly unremitting tedium of the Olympic games. "People who do not like the Olympics should be able to steal themselves a better TV on which to not watch it." But pressure groups claim the move will further undermine British society, insisting that Sunday is a day for stealing things from churches. Ahh this infamous picture , note the bar going through the guys arm at the back . This photo more than any other made me start to analyse photos in more detail. They say the camera never lies but it does if the person controlling it is the government.